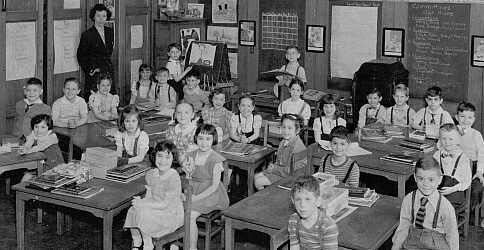 A Picture History of Kew Gardens, NY - Class Pictures - PS99 Grade 1-3 1947. "When you asked for pictures I found the attached one that I would love to share. Perhaps there are people in the class who remember me. Helen Anschel. I remember many of the names of the kids in the class. I lived in Kent Manor until 1950 and have so many wonderful memories of my childhood in Kew Gardens, especially the park attached to Kent Manor. I thought it was sooo big and went back years later and found it to be small. What a surprise."